Intracellular sorbitol accumulation has been implicated as an aetiological factor for many of the complications of diabetes mellitus. Erythrocyte sorbitol is found in higher concentration in Type 1 (insulin-dependent) diabetic patients than in normal subjects. When sorbitol accumulation is corrected for its immediate prescursor glucose (sorbitol/glucose ratio), the polyol accumulation remains significantly greater in erythrocytes from the Type 1 diabetic. Erythrocytes from Type 1 diabetic patients exposed to normal extracellular glucose concentrations for 3 h in vitro, accumulate more sorbitol and fructose than normal cells in the same incubation system. Near-normalization of plasma glucose in Type 1 diabetic patients for 12 h did not result in normal erythrocyte sorbitol levels. The increased sorbitol accumulation in erythrocytes from Type 1 diabetic subjects may reflect similar activity in the lens and nerve in long-standing diabetes. This increased sorbitol production was found in most, but not all, individuals with diabetes and appears to be an acquired characteristic. 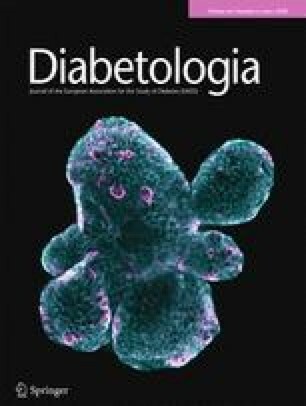 Those factors influencing enhanced tissue sorbitol accumulation may be important in the aetiology of diabetes-associated complications.